Buying a house isn’t an easy process, but it can be especially difficult if your credit is less than perfect. Bad credit, or a limited credit history, can make it seemingly impossible to qualify for a mortgage of any kind. But those with bad credit have options. 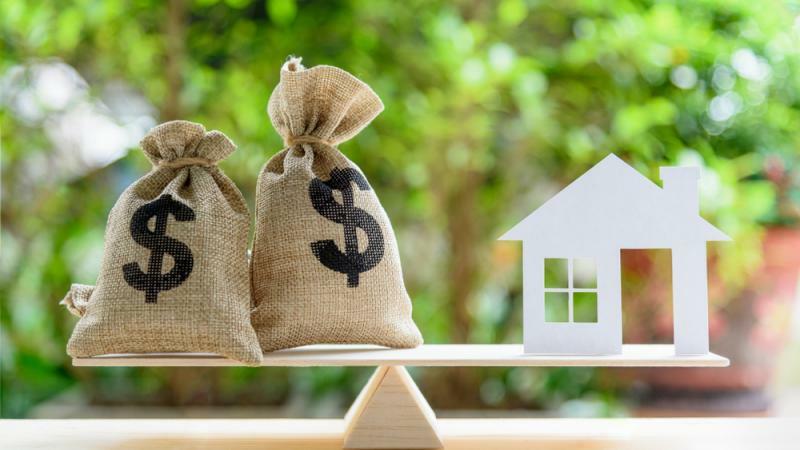 If you’re trying to secure a home loan but your credit is holding you back, check out the following 3 mortgage options for those with bad credit. If your credit score is far from perfect, there’s a home loan specifically designed to help you out: an FHA loan. FHA loans are mortgages insured by the Federal Housing Administration, and they’re designed to help struggling potential homeowners buy their first home. After a wave of foreclosures and defaults happened back in the 1930s, Zillow reports that the FHA started offering these loans to help those with poor credit or who can’t afford a high down payment be able to buy a home¹. And today, FHA loans still do exactly that. You can qualify for an FHA loan with a credit score between 500 and 579, and you can put down a down payment that ranges anywhere from 10 percent to just 3.5 percent. Because FHA loans are backed by the federal government, there’s less risk for lenders if you default on your loan – making these loans perfect for anyone who’s struggling with their credit. If you’ve served in the U.S. Military, you’ll want to consider a VA loan when buying a home. Offered only to veterans and active duty members of the military, VA loans are a fantastic, affordable, and flexible option for those looking for a mortgage. VA loans are backed by the government and are meant to help veterans, service members, and military families become homeowners, especially if they struggle to find financing. With competitive interest rates, no requirement for private mortgage insurance, and low or no fees, VA loans offer countless benefits. And those with bad credit can take advantage of the great flexibility offered by VA loans. These mortgages require no down payment, giving you greater purchasing power and putting less financial strain on you. VA loan lenders also offer varying credit score cutoffs, and you can qualify with a score of 620³ – or perhaps lower depending on your lender. If it’s options you need, Angel Oak Mortgage Solutions can help you out. No matter your credit score or history, this company works with lenders and potential borrowers to match you with a home loan that you can afford. Angel Oak allows you to apply online, see what loans you’re matched with, and even track and manage your loan entirely online. With loans for those with a credit score of 500 or higher, Angel Oak Mortgage Solutions can help anyone who’s struggling to secure a home loan⁵. You can be matched with lenders who work with individuals who can’t meet traditional financing requirements, making it far easier to find a loan that’s flexible and perfect for your credit. While the eligibility requirements to qualify for a mortgage through Angel Oak Mortgage Solutions varies depending on your credit score, the amount you’d like to borrow, and other financial qualities, there are plenty of options for those with bad credit. This company will work with your financial history to help you find financing and buy the home of your dreams. These three mortgage solutions are just a few examples of different financing options anyone with bad credit can take advantage of. If you’re dreaming of owning a home but worry that your credit is holding you back, these loan options show you that financing a home is possible. In order to find a mortgage that works for your financial situation and your credit score, you just need to do your research and take the time to search for options. Online, you can find mortgages, lenders, and home loans for any credit level – and you can compare your options easily. All it takes is some time and research to find the best mortgage for you, regardless of your credit score.